If you're looking to upgrade your car's sound system with a CarPlay-capable head unit, you have a few options. You could choose from one of Pioneer's six head units (5 NEX and AppRadio 4) or get the newly announced Alpine iLX-007. Alpine's receiver has a few good features like a larger 7-inch capacitive touchscreen compared to the Pioneer AppRadio 4 (6.2-inch) and smaller chassis (3-inches in depth). 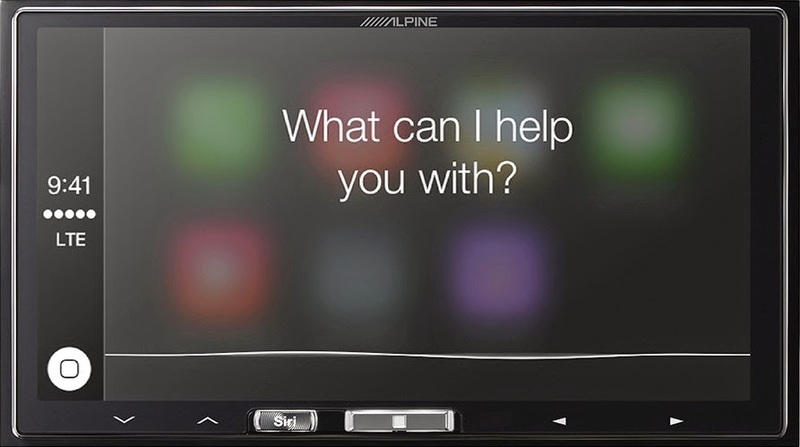 Alpine also boasts their own MediaXpander (MX) technology in the head unit which reproduces and restores sound quality lost during media compression. Best Buy: The iLX-007 is available for preorder from BestBuy.com. There is no date set for when it will be available to ship. The item is listed at $599.99. Crutchfield: Crutchfield lists the iLX-007 at $599.99 but the item is currently OUT OF STOCK. Pacific Stereo: The head unit is listed at $599.95 and is IN STOCK according to the listing page. Shipping is free. Amazon : Not listed on Amazon at the moment. Sound of Tristate Inc.: Not listed. Note: Some of the retailers mentioned above may not be authorized Alpine dealers.